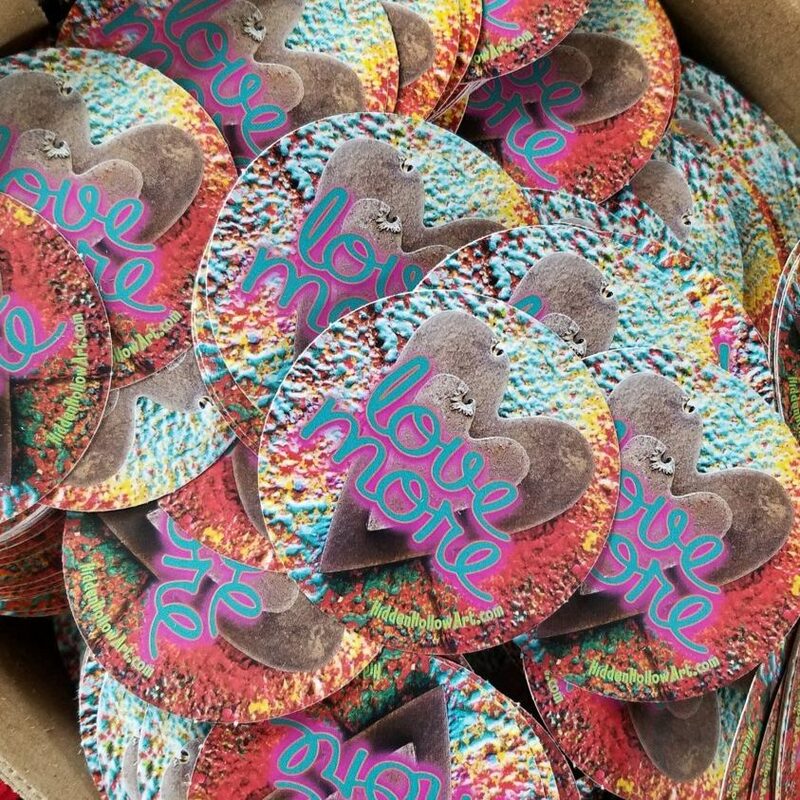 One of our main goals in life (and as a company) is to spread LOVE like there’s no tomorrow. 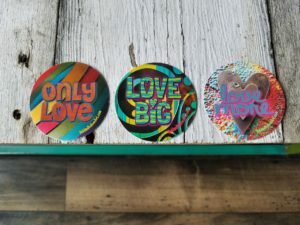 ‘Cuz really – love is one of those things – the more you give – the more there is for everyone! 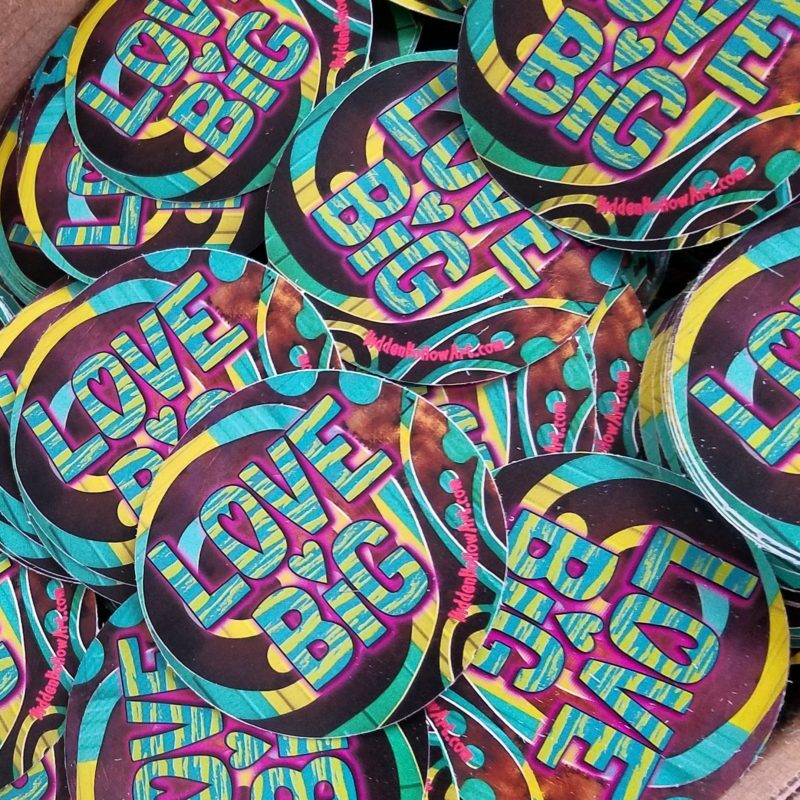 We are super excited about these new limited edition stickers that we made to remind you to LOVE MORE – LOVE BIG – and that there’s ONLY LOVE! We can’t wait to give them away to ALL of you! 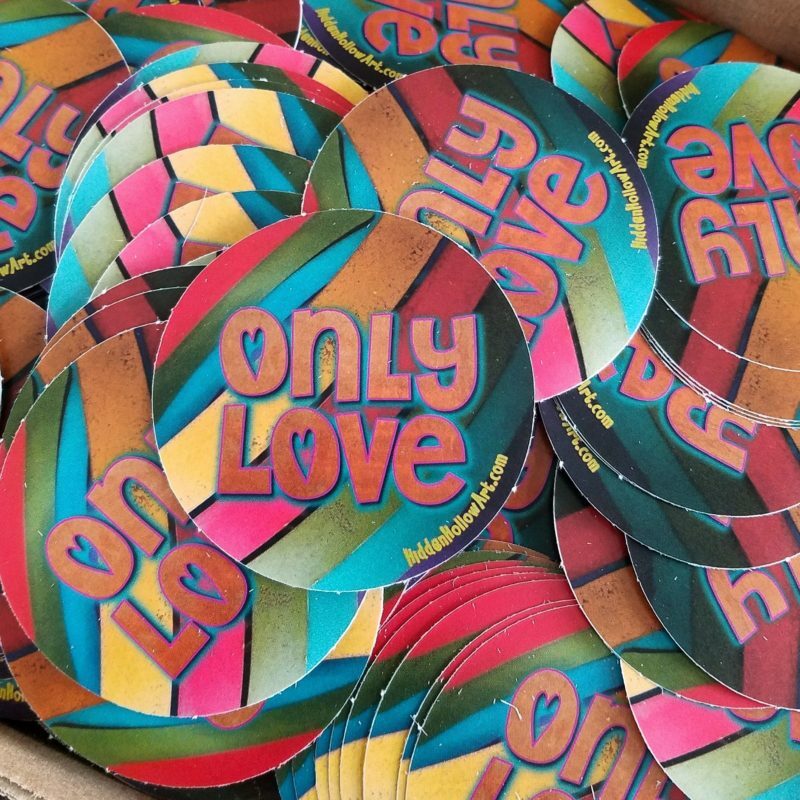 Our first open date of the year is coming up (May 12th – 9 am – NOON) – and we’re gonna make the LOVE rain down – but ONLY LOVE – no actual rain 😉 Come and get your LOVE stickers at any event at Hidden Hollow Garden Art this year – ‘cuz we’re giving ’em away for FREE!! !